Welcome to the home of Duratech roof windows. The quality daylight solution. The roof window market today is one that has evolved and developed rapidly over the past 20 years. With more and more products every day to choose from only the best roof windows are used, which is why Duratech is one of the most popular products in the market today. Although a relatively new brand, Duratech has established itself as a high quality, professional product within the UK already. This has been achieved with the help of the manufacturer (VKR Holding – Who also own Velux) which manufactures roof windows that have been installed in millions of homes worldwide. Boasting a wide range of beautifully crafted roof windows, Duratech aim to fulfil any requirements he consumer needs. 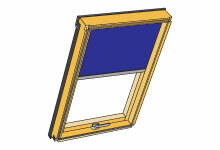 Available in different sizes, big or small, square of rectangular there is a window to choose. 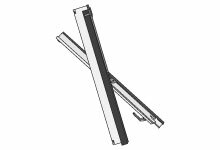 Duratech has provided a range that adheres to any building regulations put in place with adequate u-values and ventilation requirements, even producing conservation windows for those living in conservation areas. Duratech roof windows were designed with a sleek Scandinavian feel in mind. 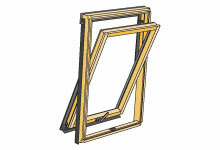 All frames are much thinner than conventional roof window frames. The thought process behind this was to allow as much daylight as possible through which is achieved through a larger glass pane size. The pane itself is double glazed and filled with argon gas to give the window excellent thermal transmittance. If the sunlight is too much however, Duratech also supply blinds. Duratech is always looking to find ways to aid the sustainability of the planet, which is why all pine used within Duratech roof window parts is sourced from PEFC certified, sustainable forests. The timber is kiln-dried, knot-free, top quality wood as Duratech believes in delivering the best product available. Longevity is key when it comes to any building product which is why all timber is injected and protected with insecticide and fungicide before being coated with an acrylic lacquer. The handle is the finishing touch in this innovative range of products. 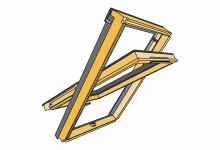 Zinc moulded, quarter turning, it allows the user to have two separate locking positions, allowing passive ventilation. It has also been positioned at the bottom of the window opposed to conventionally being at the top in the form of an opening bar. This has been intentionally done for ease of use and access for the user. In addition to these amazing features, you can be rest assured that the outstanding quality is backed up with our very own 10 year guarantee which can be viewed in full detail in our Guarantee information section.